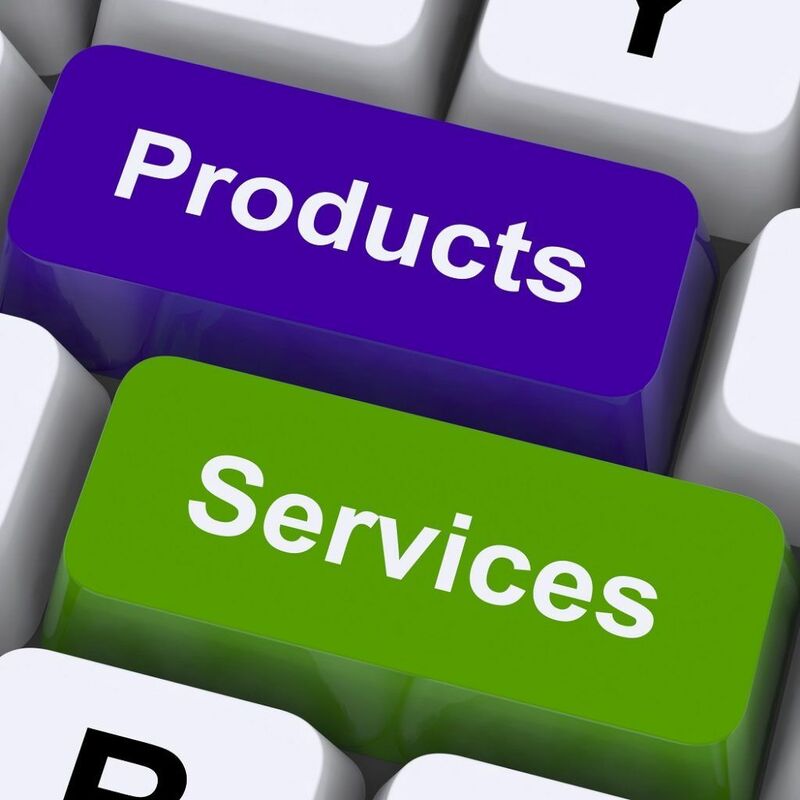 What are Products and Services? A product is a tangible item that is put on the market for acquisition, attention, or consumption while a service is an intangible item, which arises from the output of one or more individuals. Although it seems like the main distinction between the two concepts is founded on their tangibility, it is not always the case. In most cases, services are intangible, but products are not always tangible. One thing to keep in mind is that products and services are closely aligned. In fact, a majority of products carry with them an element of service. For example, when a consumerTypes of CustomersCustomers play a significant role in any business. By better understanding the different types of customers, businesses can be better equipped to develop buys a car, the product comes with a ton of other service responsibilities such as tune-up and maintenance. Nonetheless, there is a clear difference between the two concepts, and it’s imperative for one to understand their working definitions. Assessing the quality of a tangible product is very easy. Since most products are countable, touchable, and visible, a consumer can assess its durability by examining it. A good case in point is when an individual is buying a home. The buyer will check every nook and cranny of the house, including the attic, basement, foundation, each individual room, and more. In contrast, a service is not something that one can feel or try out before paying for it. Say an individual needs a professional inspector to identify any hidden issues before deciding to purchase a home. Just how experienced is the inspector with regards to plumbing, roofing, and other structural matters? In a nutshell, the client lacks sufficient knowledge about the inspector’s expertise until the task is already in progress. The customer can read online reviews, ask for the inspector’s credentials, as well as before and after pictures of his previous work, but there’s no definite way of evaluating the quality of a service until it’s rendered. A potential car buyer usually checks the car’s body lines, feels the leather used on the seats, and takes the car for a test drive before deciding whether to buy the car or not. Since it’s a product, the buyer is aware of the specific production line the vehicle hails from, and there are tons more like it; in fact, there are other cars identical to the one being bought. But what about the service the car buyer receives from the car dealer? The way a car salesperson interacts with one buyer is not the same way he interacts with another buyer. If the car buyer is lucky, he may find a salesperson who is well-informed, courteous, and is willing to negotiate. If he’s not, the car salesperson might be one who lacks information or behaves in a nonchalant way. The best way to illustrate perishable products is to consider a restaurant owner. If such an individual does not understand the concept of spoilageSpoilageSpoilage literally means wastage or scrap that occurs during the manufacturing process or is a badly damaged material that is used for processing a product and waste reduction, he risks ruining his business since most fresh foods spoil within a few days. Another example is technology. Even some intangible products like software become obsolete at some point. Imperishable products include items like canned corn, jewelry, and automobile parts. However, does the distinction between perishable and imperishable exist in services? Services can be described as perishable but not imperishable. A perishable service simply means that it’s short-lived. Ideally, such a service is consumed as soon as it is produced. Unlike products, the service cannot be stored for later use. Perishable services are such as airline flights, auto repair, theater entertainment, and manicures. If an individual purchases an air ticket for a particular day, and then he suffers a cold and is not able to travel, the ticket expires. The perishable attribute of some services makes it hard to balance supply and demandSupply and DemandThe laws of supply and demand are microeconomic concepts that state that in efficient markets, the quantity supplied of a good and quantity demanded of that. Based on history, it is evident that producers need to adapt or replace products once they become outdated. Consider the way websites and e-books have replaced paper books or how compact discs have replaced cassettes and DVDs. In other instances, services have also become a substitute for certain products. For instance, the streaming services offered by entertainment firms like Netflix are now preferred to DVD and cable or satellite-television programs. Products are simply objects that are manufactured, stored, transported, advertised, and then sold. While products can either be tangible or intangible, services are intangible. The differences between products and services are based on different factors, including tangibility, perishability, variability, and heterogeneity.